which Microsoft is falsely or incompletely advising now in the L1TF article. If a user is setting 1/3 it will DISABLE protection CVE-2018-3639 [speculative store bypass] also it will disable AMD protections. Meltdown, Spectre 2 / 3, 3a / 4 / L1TF need microcode updates or the seperate updates deployed for Windows 10 in August 2018 + 2018-08 CUs. In addition Microsoft choose that only servers need the registry keys to enable protection. I would advise all customers to apply them. The current situation is unbearable for average sys admins and there is too much confusion. IMHO Microsoft should roll out all microcode updates for any OS and enable protection by default without any registry keys it is much easier to understand how to disable it. The current situation is that only @Dell really cares to bring out BIOS updates for ANY systems back to 2009 whilst other OEMs don’t give a ****.. no matter if we are talking about enterprise or home. Based on a variety of 70 client pcs and servers of various OEMS / vendors only 18 received all BIOS microcode updates. 6 had too old Intel / AMD CPUs, more than 21 are only patches because Microsoft rolled out (optional) Microcode Updates. Others unprotected due to old Windows Client / Server version. How’s that for the very definition of falling into the briar patch? UPDATE: I just followed a link from @teroalhonen to a discussion on Anandtech of the new Intel processors and how they fare with Meltdown and Spectre. 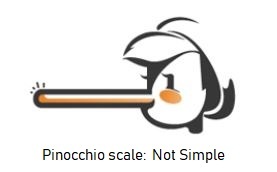 Clearly, whoever put together this slide didn’t have a clue. I sympathize. If Anandtech can’t get it right, what chance do we mortals have? Whotta mess. Patch Lady – what’s up with the Microcode updates? Unsure what’s up, but Microsoft appears to be pulling these updates back. I think there is/was metadata detection issues and they were offered up and installed on machines they shouldn’t have been installed. UPDATE: Günter Born has a compelling history posted on his Born City site. Patch Lady here on the Microcode updates. Unless you are a nation state, have a key asset in a cloud server, or are running for a government office, I think we are spending way way more time worrying about this than we should. I still think that attackers will nail me with malware, attack me with phishing, ransomware, etc etc, way more than someone will use these side channel attacks to gain information from me. Remember that the attacker has to get on your system first and I still think they will use the umpteen other ways to attack me easier than this attack. Also keep in mind that we won’t really have a full fix for this issue for several years. Intel and AMD will need to redesign the chips to ultimately get fixed. You need two updates to ultimately be patched. An operating system update (of which the August patches have the latest updates that include L1 Terminal Fault (L1TF) that affects Intel® Core® processors and Intel® Xeon® processors (CVE-2018-3620 and CVE-2018-3646) aka the latest ones. You then need EITHER a firmware patch from your OEM vendor or one of these Microcode updates that Microsoft have been offering up. You don’t need both a firmware and a Microcode. It’s probably wiser to get a firmware update as I’ve found in patching windows 10 and getting all the feature updates on, that machines really need a firmware update to patch well in general. In my office where we have standardized on HP, I am making sure that all machines have the HP support assistant to monitor firmware updates. On my Lenovo laptops I’ve made sure they have the solution center installed. If you have a relatively recent Windows 10 OEM build computer, look to the vendor for a firmware update. If you want a Microcode update keep in mind that Microsoft released in August to the MU channel *just* for 1803. Per this page: https://support.microsoft.com/en-us/help/4093836/summary-of-intel-microcode-updates 1803 is getting them from Windows Update, Windows Server Update Service, and Microsoft Update Catalog. The other versions are only getting them from the catalog. 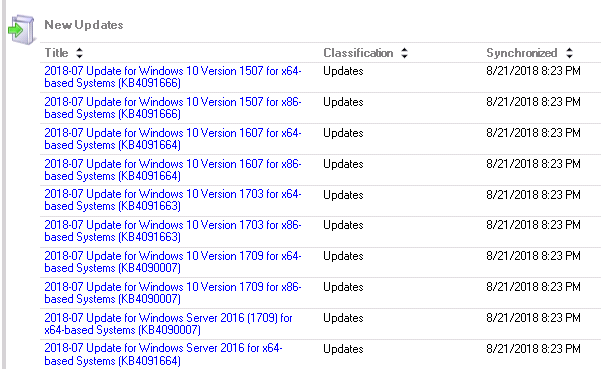 For those folks that run WSUS servers, you saw a bunch of Microcode updates out yesterday. Those are JULY versions of the Microcode update, not the same as the AUGUST ones out yesterday. Notice the 2018-07 dates on the updates that came out on WSUS, not the 2018-08. Took me a while to figure out that these AREN’T the same updates even though they came out on the same day. They did come out on the C week. They are not replacing the cumulative update of August 14th. Unfortunately, I’m rating these Microcode updates as not simple.